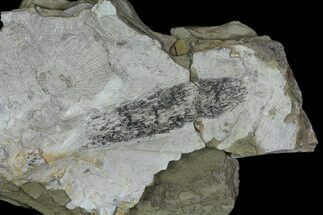 This is a very rare, 1.1" long fossil cockroach (Syscioblatta alleghensis) wing from the famous Late Pennsylvanian, Kinney Lagerstätte in New Mexico. 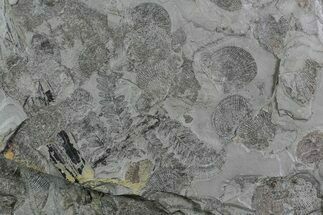 Also associated with it on the 5" wide piece so shale are several fossil bivalves (Dunbarella). Comes with an acrylic display stand. 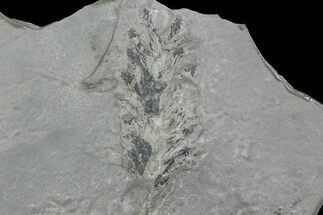 The Kinney Lagerstätte is a world-famous Late Pennsylvanian fossil quarry located in the Manzanita Mountains of central New Mexico. 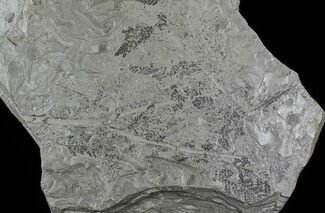 The quarry is in the Tinajas Member of the Atrasado Formation and has been assigned a middle Missourian (Kasimovian) age (~305 Ma). 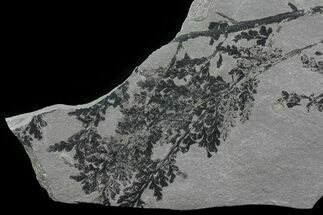 Beginning with the first collections made in the 1960’s the Kinney Quarry has been long appreciated by paleontologists for its exceptional preservation and diverse assemblage of fossil vertebrates, invertebrates and plants. 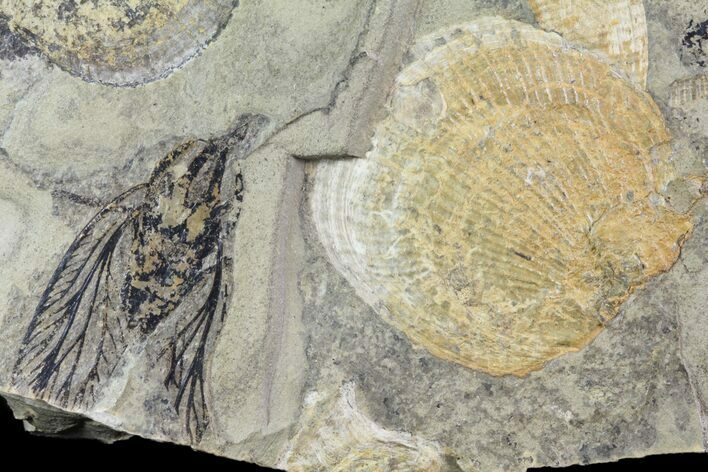 The New Mexico Museum of Natural History and Science, Smithsonian Institution, University of Kansas, Carnegie Museum of Natural History, Cleveland Museum of Natural History and the Sam Noble Oklahoma Museum of Natural History have extensive collections of Kinney material. 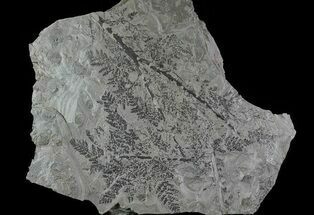 Due to the high scientific value of Kinney fossils and restricted quarry access a very limited number have ever become available for sale on the commercial market.